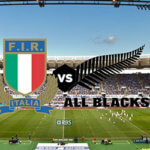 All Blacks skipper Kieran Read has returned to the starting XV to take on the Springboks in the Rugby Championship Test match set to be played in Loftus Versfeld Stadium in Pretoria. The All Blacks have made a series of changes as of late, most of them to their starting line after they beat Argentina in Buenos Aires 35-17. Jack Goodhue will now be partnered with Sonny Bill Williams in the midfield, while Ryan Crotty has been put on the bench. 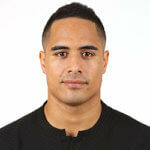 Aaron Smith is set to replace TJ Perenara in the No.9 position. In the forwards line-up, Read will be returning to the No. 8 jersey, and Owen Franks will be playing as tighthead, which has meant Ofa Tu’ungfasi has been pushed to the bench. All Blacks coach Steve Hansen has stated that he expects plenty of challenge from the Springboks, especially after the South African team beat the previously undefeated All Blacks 35-35 in Wellington a month ago.